The tourist office’s shop has a wide selection of local art in soapstone, tupilaks made of reindeer antlers, grass plaiting, various souvenirs, books, music, postcards and mountaineering and climbing equipment. Rubber dinghies, kayaks, tents and other equipment are also available for hire. Learn more about the many adventures below. The most popular hikes are perhaps the trips to Klosterdalen and Quinnguadalen, which have views of the fells of up to 2,000 metres and lots of glaciers. Nanortalik Tourism has hikes of various levels of difficulty and duration: from day-long excursions to week-long hikes with tent and equipment. Practically all equipment can be hired from Nanortalik Tourism, which has both great experience and expertise. Sail out to uninhabited islands, pitch your tent and sleep in the great outdoors. There are plenty of options – and the choice is yours. You can also go on package tours which take you to specially chosen areas of historical and local cultural interest. Some of the world’s most challenging rock faces that attract climbers from all over the world are found in Tasermiut fjord. Each year climbers and expeditions come to Greenland to take on the challenge, including the challenge of Ketil – at 1,800 metres, the world’s highest rock face. In addition, there are unique climbing possibilities in almost all the fjords south of Nanortalik near the unspoilt Cape Farewell. Nanortalik Tourism helps provide transport to and from the sites, and has many years of experience of logistics and technical guidance in connection with expeditions in the mountains. These activities are for very experienced climbers and mountaineers only. If not in Greenland, then where else? 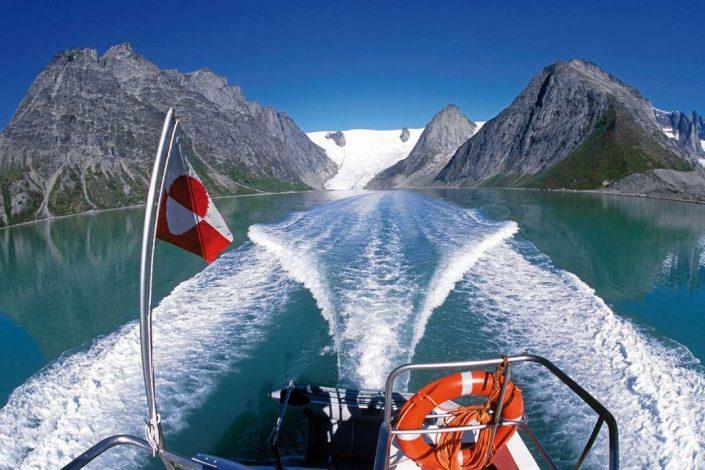 The kayak was invented in Greenland, and in South Greenland the fjord system is perfect for kayaking. Many kayak expeditions begin in Nanortalik, and at Nanortalik Tourism you can hire an extensive range of items, including tents, kayaks and equipment. Paddle out and explore the area with views of the icebergs and kilometre-high rock faces. Head out to uninhabited islands, pitch your tent and sleep in the great outdoors – the possibilities are endless and the choice is yours. However, be aware of the capricious weather which can change in an instant. Experience of kayaking is necessary – on the other hand, however, you can be sure of kayaking trips that are unlike anywhere else. We also organise guided kayaking trips in collaboration with the Scottish kayaking and mountain centre Glenmore Lodge and Norwegian Northern Exposure to the areas around Cape Farewell. Get close to the fabled Inuit culture, which today still makes its mark on modern Greenlandic towns and society as a whole. 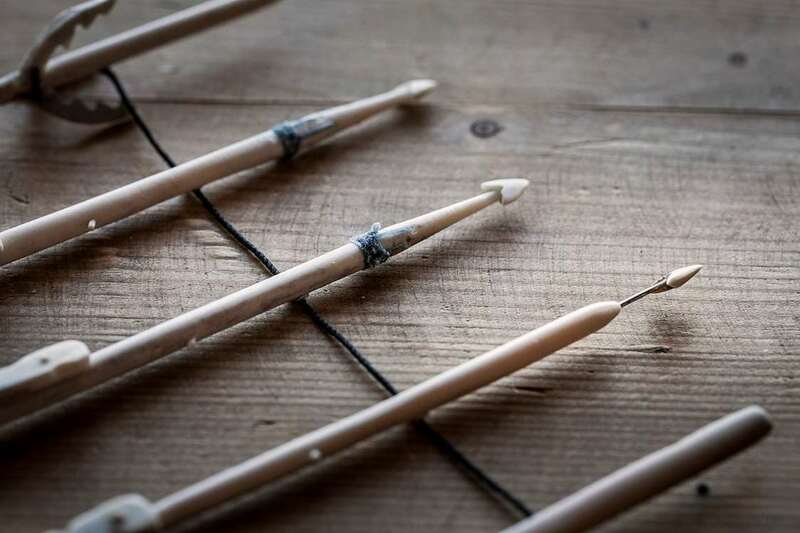 The most well-known examples are probably the small tupilaks, which today are popular souvenirs, but which in former times were used to contact the spirits. Explore the remnants of the old settlements, the oldest buildings in Nanortalik town and much more. Head out to the “board” and see the choice of food and how the day’s catch is sold. Nanortalik Tourism customises trips and package tours which provide an insight into culture and local history. 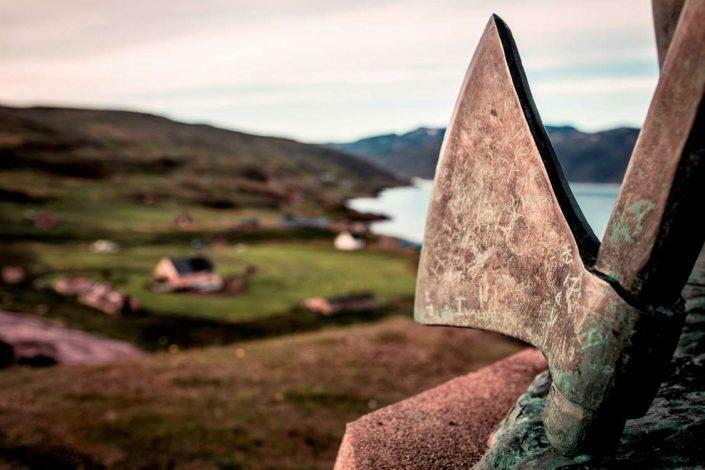 Get close to the history of the Vikings – or the Norse settlers, who, led by Erik the Red, made landfall on the coasts of southern Greenland more than one thousand years ago. Explore the remnants of the old settlements, study the stone ruins and hear how the Norse settlers lived. Nanortalik Tourism’s excursions and package tours are tailor-made to give you an insight into local and cultural history. Nanortalik Museum has a unique exhibition of the Norse settlers, including the famous clothing from Herjolfsnæs. A visit to the local museum also provides an understanding of the life of the Norse settlers and their activities in South Greenland. Accompany a local guide on a sightseeing trip lasting 2-3 hours. Here you’ll be shown the most important and most interesting areas of the town; the busy harbour, shops and historical sites. There are also guided hikes to the places where Nanortalik was founded in 1797, and to the summits of Ravnefjeldet (308 m) and Storfjeldet (559 m). If you’re prepared to allocate a little more time, the tour can be enhanced with a kaffemik or traditional dinner at the home of a local Greenlandic family. This will enable you to taste boiled whale meat and hear more about everyday life both in former times and today. Alternatively, you can pick up a detailed map of the town at Nanortalik Tourism’s office and explore the town and its attractions on your own. 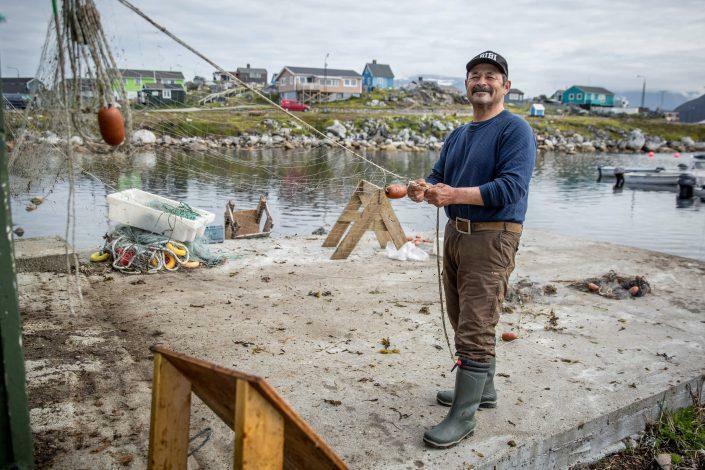 Does boiled whale meat, seal suaasa, dried meat and fish and blubber prepared in traditional South Greenlandic style sound enticing? Dinner at home with a Greenlandic family, where you also have the chance to taste local dishes, is an experience that’s quite out of the ordinary – also for your taste buds. Nanortalik Tourism also organises kaffemiks. Listen to stories from the local area and about everyday life both in former times and today in Greenland’s southernmost town. Kaffemiks and dinner are typically organised in conjunction with a guided sightseeing tour of the town. The details are planned with you to take into account your preferences. sealskin products and other handicrafts which will act as mementos of your trip to Greenland. We are authorised dealers of Great Greenland’s famous furs and other sealskin products. The most popular items are probably the peculiar little tupilaks, which were originally used to establish contact with both good and evil spirits. Nanortalik Tourism’s shop also has books, music, postcards and equipment for hiking in the fells. 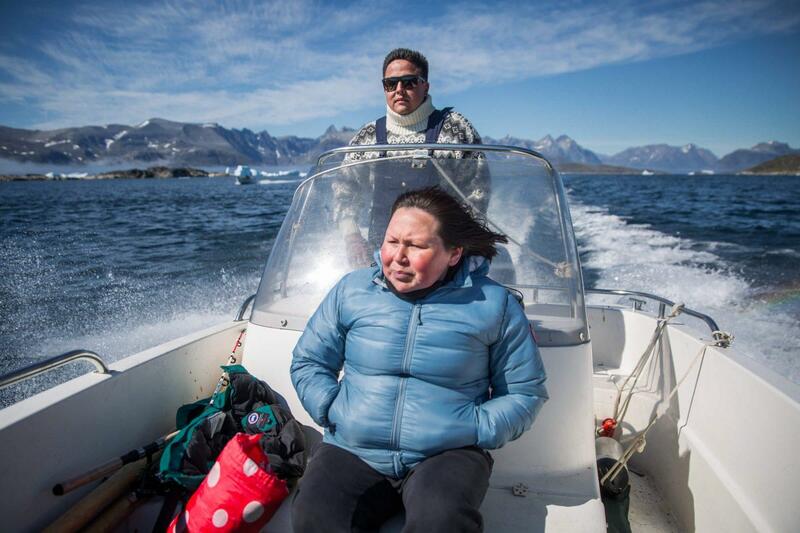 Nanortalik Tourism has put together a number of daytrips and package tours that take place on the water and take you to exciting areas both in terms of nature and cultural and local history. Go on a trip to hot springs where you can relax in 37-38-degree hot water. 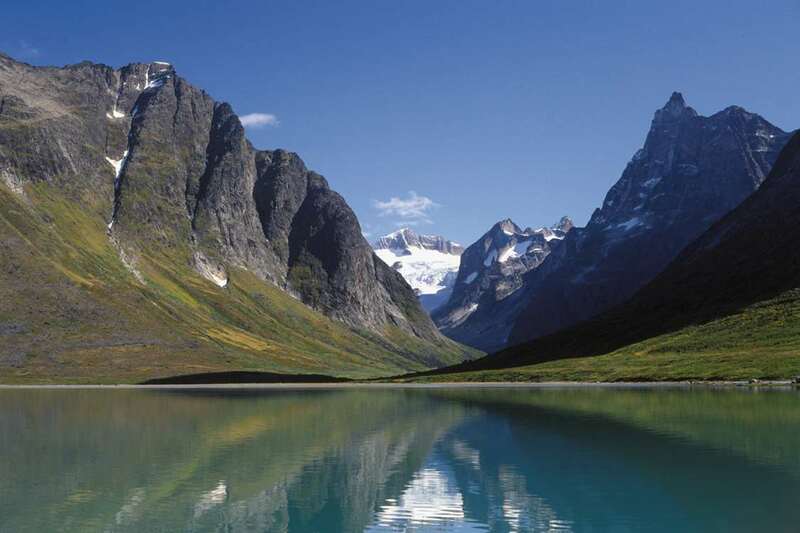 Or head for the Ice Sheet or Tasermiut Fjord, which is regarded as one of the world’s most beautiful spots. The various trips last from a couple of hours to several days. Visit our website and find the trip that suits you best. The countless different shapes and forms of icebergs can be found throughout Greenland’s waters. This is also true of South Greenland, although the icebergs are generally a little smaller than those further north. It’s not unusual to see icebergs form beautiful gateways, which are tempting to sail right through. It’s no surprise that the icebergs are one of Greenland’s most popular attractions. 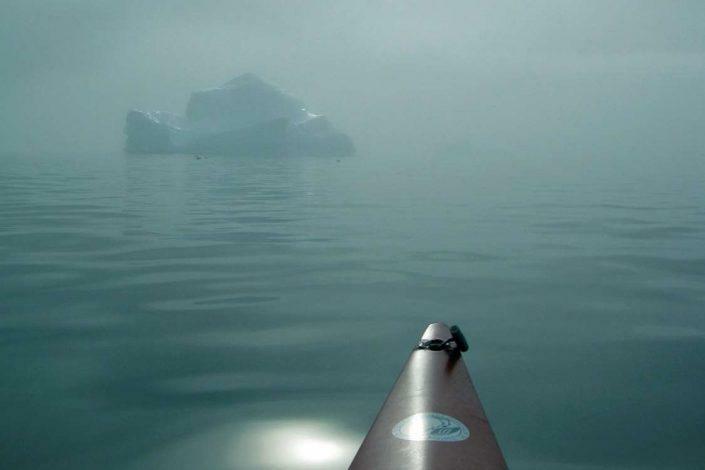 On trips in the Nanortalik area you can get close to the icebergs on foot, in a kayak or by boat. 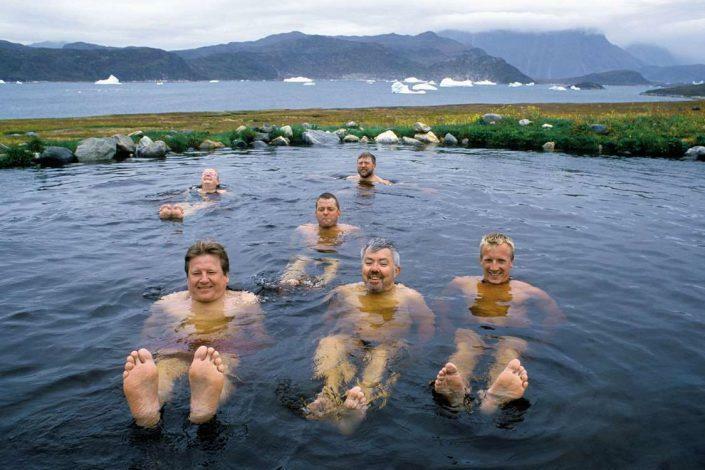 Nanortalik Tourism has a large variety of customised trips which include encounters with icebergs. A full range of equipment, tents, kayaks and hiking equipment can be hired at Nanortalik Tourism, which also provides expert advice. Icebergs and the Ice Sheet are characteristic of Greenland – indeed, they’re almost synonymous with the country which is almost 85% covered by thick ice. The Ice Sheet is a cap of incredible dimensions which at first appears stiff and unyielding, but its rumbling and creaking reveal its changeable and dynamic nature. On Nanortalik Tourism’s tours you can experience the Ice Sheet from several perspectives: from a kayak, on hikes, on fishing trips, etc. A full range of equipment, tents, kayaks and hiking equipment can be hired at Nanortalik Tourism, which also provides expert advice. A popular excursion is to the hot springs that are found on the small uninhabited island of Uunartoq between Alluitsup Paa and Nanortalik. Here there are three naturally heated springs that flow together into a small, dammed pool. For once, you don’t need warm clothes and sealskin gloves; a bathing costume will suffice, with the water at 37-38 degrees Celsius. Hire a kayak or other equipment from Nanortalik Tourism, head out on your own or go on a guided tour. In any event it’s quite an experience after a tiring trip by kayak to relax in 38-degree hot water and enjoy the sight of icebergs drifting slowly by. The chances of catching large trout or salmon are excellent, so be prepared for delicious, nutritious meals. The char is fished in both saltwater and in rivers. It is typically fished at the mouths of rivers or at the boundary between a lake and river. Generally speaking, char are found where the concentration of food is greatest, the water is deep enough to cover their dorsal fins and where the water is relatively still. You can be sure of expert guidance at Nanortalik Tourism. They know the good fishing spots and can help with maps, fishing licences, equipment and kit. A full range of equipment, tents, kayaks and hiking equipment can be hired at Nanortalik Tourism.